On March 30, 2007, Imagineer and Disney Legend Roger Broggie was posthumously honored with a window on Disneyland’s Main Street. 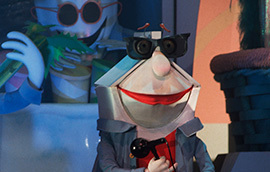 Broggie began working at the Disney Studios in 1939, first tasked with installing the multiplane camera. Broggie assisted Walt with the creation of Walt’s miniature train set, called the Lilly Belle. Broggie was hand-picked by Walt as the first member of the team of engineers to make up WED Enterprises, becoming the first Imagineer, and one of the first tasked with the creation of Disneyland. Not only did he help with plans for the monorail and the Matterhorn Bobsleds, but he helped with the creation of Audio-Animatronics. 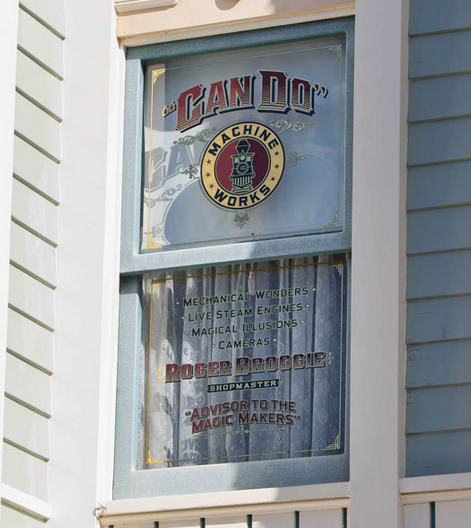 Broggie’s window was placed above the magic shop, advertising him as the shopkeeper for Can Do Machine Works. In attendance at the ceremony were fellow Disney Legends Alice Davis and Bob Gurr, Disney Imagineering Ambassador Marty Sklar, and members of Broggie’s family, including son Michael Broggie, who continues his father’s legacy as a machinist and supervisor in the Disney Studio machine shop. Posted in Uncategorized and tagged 2000s, Disney Legend, Disney Park, Imagineer, Main Street Window. Bookmark the permalink. 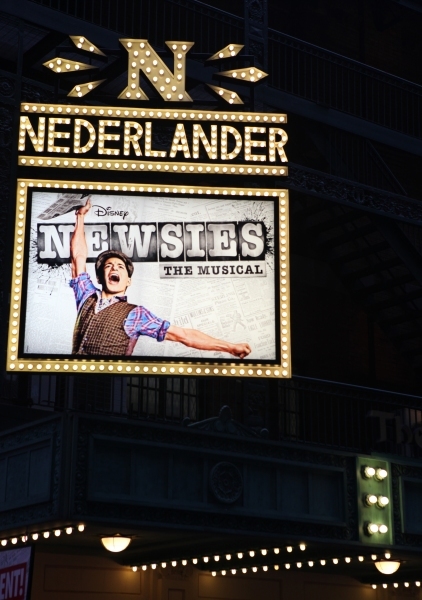 On March 29, 2012, the Broadway musical Newsies officially opened after a week of previews that began on March 15 at the Nederlander Theater. The musical was based on the 1992 cult Disney film, it was adapted for the stage by Harvey Fierstein, Alan Menken, and Jack Feldman, and directed by Jeff Calhoun. The opening night was a star-studded spectacle, with greeters dressed as Newsies and handing out souvenir newspapers. Special guests included actors from the original film, (Max Casella), Broadway stars (Orfeh, Melissa van der Schyff), and other well-known actors and entertainers (Marilu Henner, Tommy Tune). The cast was also on hand to celebrate the opening night, as were the team of Fierstein, Menken, and Feldman. Critics were mostly positive in their reviews of the show. Posted in Uncategorized and tagged 2010s, Broadway, Music, Musical, Opening, Popularity. Bookmark the permalink. 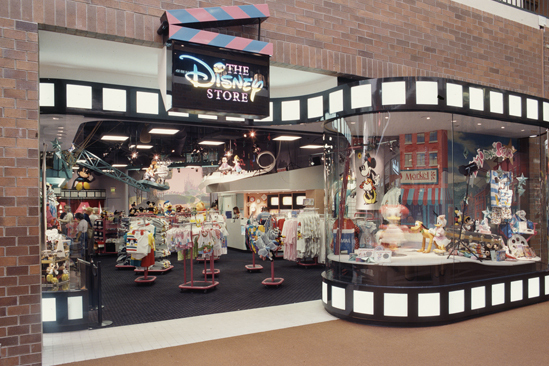 On March 28, 1987, the first Disney Store opened in California’s Glendale Galleria. Disney had never sold products in an official store before this, save for the Disney Parks. 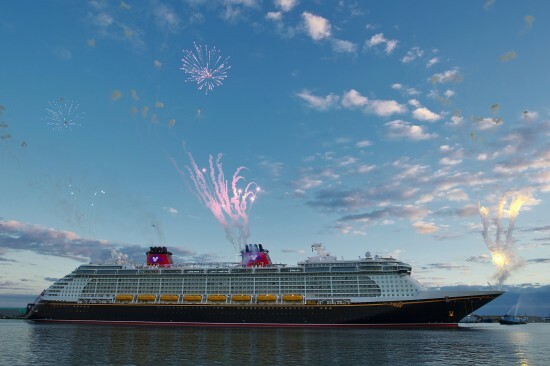 The idea of the store came from CEO Michael Eisner and President Frank Wells, as they felt that they were missing an opportunity of selling merchandise to consumers that wouldn’t necessarily make it to the parks. The concept was not only a successfully one, but it was soon copied by other studios, including Warner Brothers. The 50th store was opened just a little over two years later, with the first overseas store opening in London in November of 1990. As the number of stores grew, so did the amount of specialty merchandise available. The number of stores reached a peak in 1999, with almost 750 stores worldwide, with the less profitable stores were closed soon after. The stores in Japan were sold to the Oriental Land Company in 2001, the same company that owns Tokyo Disneyland, but were repurchased by Disney in 2010. Currently, there are at least 200 stores in the United States alone, with 479 locations worldwide; the Disney Store also sells items online, shipping all over the United States. The store sells items from all things Disney, Pixar, Marvel, and Lucasfilm. Posted in Uncategorized and tagged 1980s, Disney Store, Merchandise, Popularity, Retail. Bookmark the permalink. 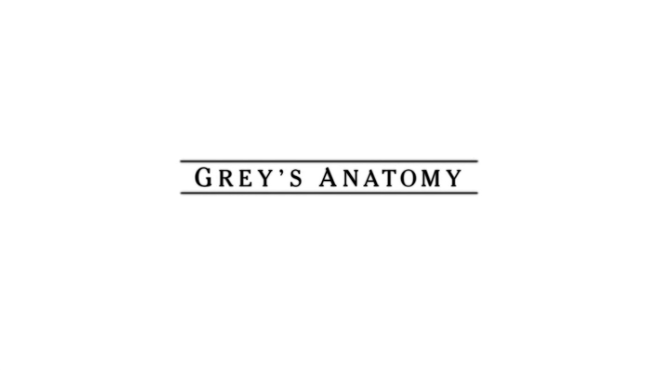 On March 27, 2005, the medical drama Grey’s Anatomy premiered on ABC. The show was about five new medical residents at the Seattle Grace Hospital, with a focus on Meredith Grey, and their interactions with several members of the staff. It was originally announced as a mid-season replacement for Boston Legal, but became popular enough to remain in the former show’s time slot. The first episode, entitled “A Hard Day’s Night,” premiered with 16.25 million viewers, and received mostly positive reviews from the critics. The show, which is still airing as of 2014, has been a success for ABC, and has won several awards, including a Golden Globe for Best Television Series – Drama. The show was created by Shonda Rhimes, and starred Ellen Pompeo as Meredith Grey, Sandra Oh as Cristina Yang, T.R. Knight as George O’Malley, Katherine Heigl as Izzie Stevens, Justin Chambers as Alex Karev, Chandra Wilson as Miranda Bailey, James Pickens Jr. as Richard Webber, and Patrick Dempsey as Derek Shepherd. Later, while the group gets a quiet moment, Meredith gets a call for a 911 from Katie. However, Katie is fine, and Meredith gets fed up. Izzy has a problem with a patient, and needs to wake Bailey for help, but that violates one of Bailey’s rules. Although Bailey finally helps her, Izzy is convinced that Bailey hates her. Meredith then meets Alex, another resident, who has a know-it-all attitude and hates nurses. Luckily, Meredith is paged to Katie’s room, and she’s actually having multiple grand-mal seizures. Grey isn’t sure what to do, and Katie’s heart stops. After using the paddles, her heart starts again. Shepherd finally arrives and he kicks her out of the room. She walks around in daze and ends up outside in the rain where she throws up. Later, Shepherd is seen arguing with Katie’s parents, with Katie’s father wanting Shepherd off the case in exchange for a doctor that could actually give him answers about what’s wrong with his daughter. George is seen reassuring a patient that he will make it through a simple heart procedure, although the patient’s wife is nervous. Later, Cristina is seen practicing suturing a banana while all the residents wait in a room, although they aren’t sure why they’re gathered. Shepherd walks in and asks all of them for help with his patient Katie, as he can’t come up with a diagnosis on his own. He gives them the incentive that the resident that comes up with the answer will be allowed to scrub in and assist on an advanced procedure. The residents jump at the chance. 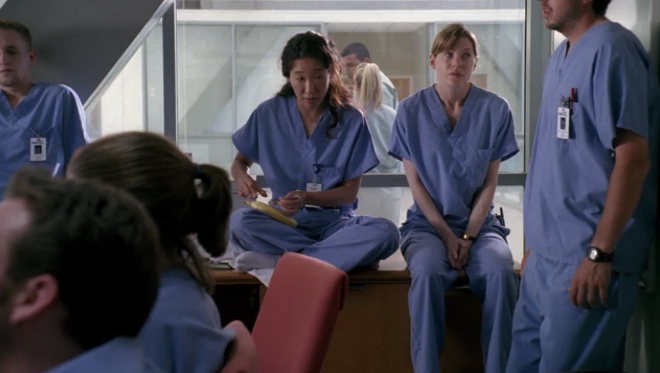 As Alex brushes off a nurse on his earlier patient, Cristina asks Meredith to work together for the chance to get the surgery opportunity, with Meredith saying that Cristina can have the surgery, as she doesn’t want to spend more time with Shepherd if she can help it, but they’ll work together. Meredith finally admits to Cristina that she doesn’t want to work with Shepherd because they slept together. The two start to bond, and Meredith finally figures out the answer as they talk about the patient: they think she may have had an aneurysm. Shepherd finally believes them, and they run the test. Meredith and Cristina were right – Katie had had a minute subarachnoid hemorrhage, and was bleeding into her brain. Shepherd picks Meredith for the surgery, and when Meredith doesn’t turn it down, Cristina walks away angrily. George’s patient has complications in his surgery, and dies on the table without George noticing. Burke tells George there was too much damage to his heart, and gets angry that George promised the wife that the patient would be just fine. Izzy tries to comfort Cristina, and Meredith tries to apologize, but Cristina lets slip that Meredith slept with Shepherd. George tells the wife that the patient didn’t make it, and tries to apologize, and she tells him angrily to go away. 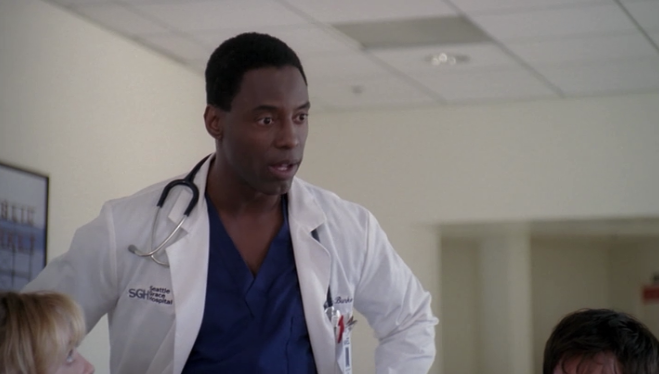 Near the end of the residents’ first shift, Meredith asks Shepherd why she was picked, and he says she earned the right to see the case from beginning to end, and that sleeping with him had nothing to do with it. Later, Meredith and George bond over their experiences, with both of them wondering why they were in this profession. Meredith then watches as Alex is chewed out by Dr. Webber, Chief of Surgery, and Meredith answers correctly what’s wrong with his patient. Meredith then goes to assist on Katie’s surgery, and wonders why she’s become a surgeon, but realizes in the end she doesn’t want to quit. Afterwards, she and Cristina talk, and they seem to have formed a friendship. She and Shepherd also have a moment before all the residents separate for the day. The Meredith goes to see her mother, who is in a nursing home, as she suffers from Alzheimer’s. Posted in Uncategorized and tagged 2000s, ABC, Drama, Golden Globe Winning, Television, Women. Bookmark the permalink. 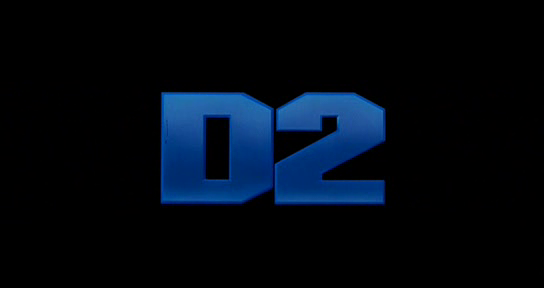 On March 25, 1994, the live-action film D2: The Mighty Ducks was released to theaters. The film was a sequel to the film The Mighty Ducks and, like the first film, was a hit with audiences, but a flop with the critics. Nevertheless, the film was a financial success. Many members of the original cast reprised their roles for this film, as did writer Steven Brill. The film was directed by Sam Weisman, and starred Emilio Estevez as Gordon Bombay, Joshua Jackson as Charlie, Kathryn Erbe as Michelle McKay, Michael Tucker as Mr. Tibbles, Jan Rubes as Jan, and Carsten Norgaard as Wolf Stansson. 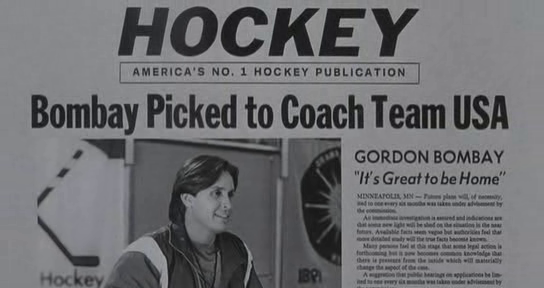 The film begins shortly after the events of the first film, where lawyer Gordon Bombay is off to play in the minor hockey league. Bombay is a star in the minors, and is just one short step away from the NHL, according to the sports commentators. However, a rival player stops those ambitions with a hit to Bombay’s knee, leaving him unable to play. He returns home to Minneapolis, dejected, and is greeted by his friend Jan, brother of his mentor Hans. With nothing else to do, and not wanting to go back to being a lawyer, Bombay takes a job at the hockey shop, sharpening skates. 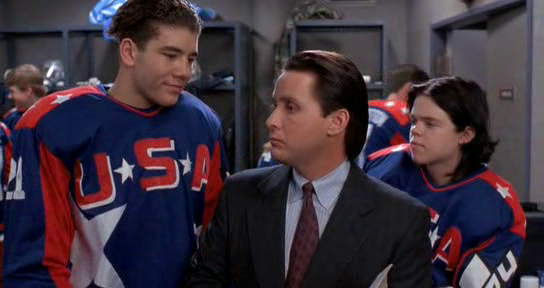 One day, he is met by Don Tibbles, representative for Hendrix Hockey, who wants to hire Bombay as the coach of Team USA for the Junior Goodwill Games, and Bombay decides to accept. The Ducks are then tapped as members of Team USA, and they excitedly gather together for the announcement. Although he accepted, Bombay is confused as to why he is being given so much attention, as he’s “just a coach,” but Tibbles explains that they’re selling the image of a coach, and Bombay is the perfect fit. When the Ducks arrive at their practice rink, they find that they will be joined by five new players: Luis Mendoza from Miami, Florida; Dwayne Robertson from Austin, Texas; Julie Gaffney from Bangor, Maine; Ken Wu, the Olympic figure skater; and Dean Portman, the enforcer. The new and old players do not get along at first, but Bombay quickly puts them to work with a scrimmage. During the scrimmage, Fulton gets the puck, and hits it so hard that it ricochets on the edge of the goal and hits Tibbles in the head, knocking him unconscious before he can introduce Michelle McKay, the tutor. Seeing as how the kids don’t want to work as a team, Bombay decides to try some more “creative” methods of teambuilding, including tying the entire team together and having them skate as one. Finally, the team is able to unite before the games begin. The team suddenly starts seeing the perks of being Team USA – which includes being on the front of a Wheaties box – but Charlie feels like the team is selling out. McKay feels the same as Charlie, and tries to incorporate a sense of pride in America in her next lesson. Soon, the team is off to California for the Junior Goodwill Games, and the team plays their first match against Trinidad. Jesse is heckled by a kid in the stands, while Fulton and Portman have formed a fast friendship as the enforcers, becoming known as the “Bash Brothers.” Team USA wins the match, 9 to 2. They then attend a press conference, where they are insulted by the coach of the Iceland team, Wolf “The Dentist” Stansson. Bombay is soon taken to Malibu, where Tibbles has given him his own beach house; while Bombay is away, the kids start to play pranks on each other in the dorms. Right before the game against Italy, Bombay meets Maria, the trainer for the Iceland team, and is quite taken with her. 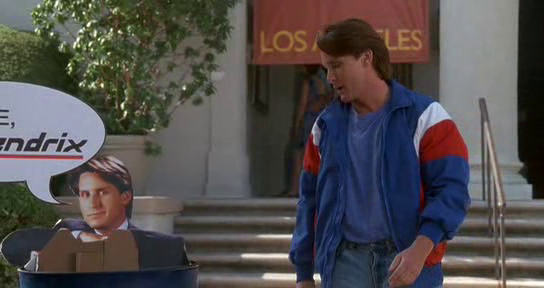 However, Stansson shows up and tries to intimidate Bombay, but Bombay isn’t so easily intimidated. USA wins against Italy 11 to nothing, and Bombay is soon taken to a photoshoot for Hendrix Hockey. Bombay starts becoming more “Hollywood,” while the kids are left to explore Beverly Hills on their own. Julie shows up to Bombay’s office, disappointed that she’s been unable to play as goalie for a single match so far. He promises her that soon she’ll be able to play, but she’s still unsure. Later that night, Fulton and Portman sneak out and go exploring in Hollywood, when they spy Bombay on a date with Maria. They subtly question him about it before the next game, which is against Iceland. Team USA goes in there incredibly cocky thanks to their earlier success, and three seconds into the game, Portman is thrown out of the game due to “unsportsmanlike conduct.” The powerful Iceland team immediately knocks down the USA team, and the old Bombay obsessed with perfection returns, leaving the former Ducks distraught. Julie is sent in as the goalie, but lasts two seconds when she pushes down two Iceland players making sexist comments to her. Adam is finally able to score for USA, but an Iceland player purposefully hits Adam’s arm, giving Adam a serious injury to his wrist. The game ends, with Iceland winning 12 to 1. Tibbles threatens to pull the backing away from Bombay and Team USA, and Bombay takes out his frustration on the team, calling them pathetic. Fulton reveals Bombay’s date with Maria to the team, and they feel completely betrayed, especially since Bombay stopped caring about the team and the fun of hockey. When Bombay shows up for practice the next day, his entire team is gone, and he is greeted by McKay instead, who informs him that she cancelled their practice. When he yells at her, she lectures him that it’s just a game, and he’s lost sight of it. As the team decides to practice on their own, the kid that’s been heckling Jesse, named Russ, shows up and challenges them to a game with his boys. The team plays a game of street hockey with kids from LA, who want to teach the team how to play like “the real Team USA.” Team USA is reinvigorated, and ready to play the game that night, with Russ and his friends ready to cheer them on. Meanwhile, a depressed Bombay heads home to find Jan waiting in his kitchen. Jan tries to remind Bombay why he wanted to coach the kids in the first place: to “teach them how to fly.” Later, Bombay heads outside and realizes why he wanted to do this after all. At the game, because Bombay is missing, McKay has to pretend to be the coach for Team USA, or they forfeit the game against Germany. Midway through the game, Bombay finally shows up, blowing the duck whistle as he did when he reunited the Ducks. He sincerely apologizes to the team, and asks them for another chance. The team agrees, and they continue the game against Germany, with Jesse leading the team into the “Flying V” move from the Ducks’ glory days, and USA wins against Germany. With a renewed spirit, the team studies footage of themselves against Iceland, and work on polishing their skills and strengthening their weaknesses. Although Adam had been hiding his wrist injury, Bombay notices and reluctantly benches him. Adam is understandably disappointed, but realizes that if he pushes it, he could injure himself permanently. With Adam’s spot open, Charlie recruits Russ, who helps USA win against Russia, leading USA into the finals against Iceland. For their last practice, the kids go out to have some fun on the ice, when they are interrupted by the Iceland Team. Stansson challenges Bombay to a game, and while Bombay hesitates, he agrees to play a game of “Three Bar” with the Iceland coach. Bombay is one shot away from winning, when Stansson takes a cheap shot by hitting Bombay’s injured knee. The game day finally arrives, and Adam reveals that he’s able to play once again. As Russ is about to give up his spot, Charlie volunteers instead, with Bombay giving Charlie the chance to be the assistant coach. From the opening face-off, the game is intense, with Iceland quickly scoring the first goal. Iceland plays dirty, hooking Adam’s arm the moment he steps on the ice, but Adam reassures the coach that he’s fine. Team USA tries the “Flying V,” but it is soon broken by Iceland. The first period ends with Iceland leading 4 to 0, and the second period begins with the Bash Brothers causing mayhem on the ice. Ken surprises the Iceland team with figure skating moves, and finally puts USA on the board. When the Iceland goal tries to attack Ken, Ken uses moves from the street team to defend himself, and is sent to the penalty box for two minutes, which has the Bash Brothers making Ken the “Little Bash Brother.” Team USA starts making more a mockery of the game than anything else, thinking that if they’re going to lose, they might as well have a good time while doing so. At the end of the second period, Bombay lectures the team on the real meaning of pride. Jan surprises the team with new jerseys, all sporting the new Ducks logo. Everyone in the stadium starts cheering on the Ducks, and the Ducks get ready to take on Iceland, quickly scoring against the strong team. With Charlie’s help, the team is able to try a new play that gives them another goal, with the team gaining ground against Iceland. Bombay then has the team try a trick move, which gives them the goal for a tie. Posted in Uncategorized and tagged 1990s, Color, Feature Film, Live Action, Sports. Bookmark the permalink.